We just wanted to wish you Happy Holidays! And to let you know that Rosie is a sweet, wonderful dog and we are so, so grateful for the role you both played in making it possible for us to have her with us. We just had our neighbors from down the street, who have three very young girls, stop by for their Girl Scout cookie orders. Rosie has visited with them a couple of times over time and every time she does, I'm amazed at how WONDERFUL she is with them! She just loves everybody! God bless you both in 2017 and over the holidays and THANK YOU for your hard work to keep this breed one that suits so many of us! 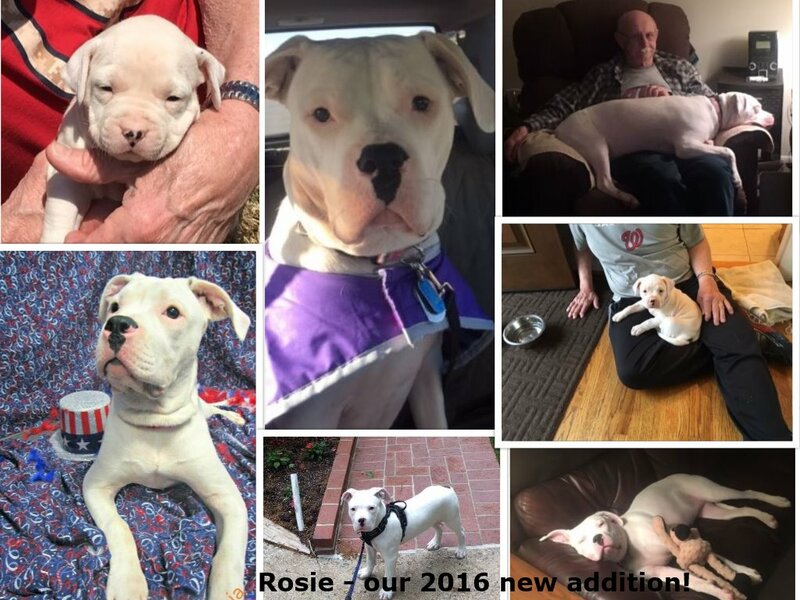 We even had two Home Depot employees today actually recognize that Rosie was an AMERICAN Bulldog versus a pit-bull. We are so proud of how beautiful and good a dog she is!